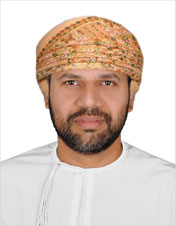 Mr. Mohammed Abdul Malik Al Qadri is the CEO and founder of GULFCYBERTECH. He is a business and finance professional with passion for e-commerce and web technologies. He has undertaken his secondary education in UK and graduated with a Bachelor’s Degree in Business and Finance with Honors from University of Derby in 1995. Mr. Al Qadri started his career in 1996 as an accountant and over the years has gained valuable experience in the oil and gas industry. He also has undertaken an MBA from University of Hull. While in his full time employment in the oil industry, he has also been pursuing his entrepreneurial ambitions. Over the years he has gained business experience in food and beverages, properties, automobiles and financial markets. The idea to set up a web development company was originally conceived in 2000 but due to his work commitments he was once again required to leave for UK where he was working at Shell International office in London. While in UK, he drew up the business plan and the strategy to set his plan in action on his return. GULFCYBERTECH started its operations in Jan 2003 with its first client order in April 2003. He utilized his experience from work, business ventures and business studies to put his vision into reality. As with all businesses, there was a lot of struggle on the way which included establishing a marketing and promotion strategy to compete with well established companies providing similar services, resourcing the business with honest and experienced staff and reliable business associates. His motto in life is to “Never give up and never be afraid of failure…It is always worth the effort”.